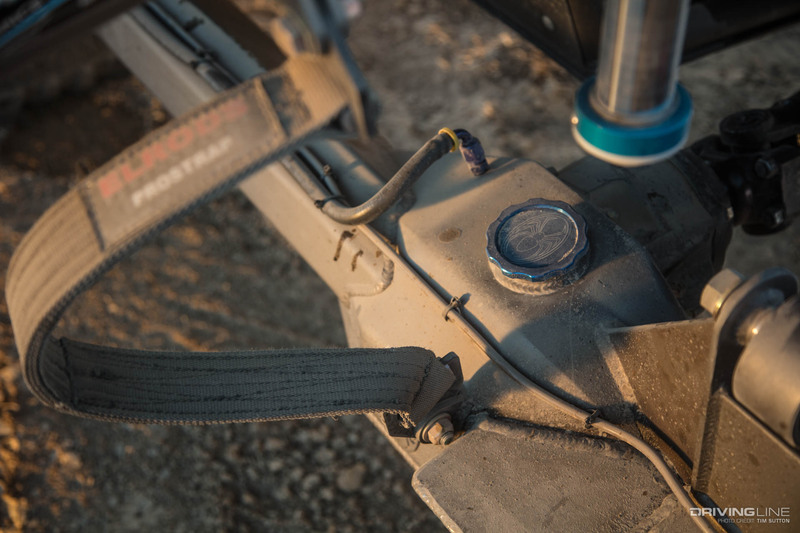 In Ultra4 Racing, there’s no sure-fire recipe for success. Unlike stock-car racing where each vehicle must fit a specific spec template, the rules for the premier 4400 class leave plenty of room for diversity. It’s this rich mix of racers and build philosophies that keeps the sport so interesting. From the age-old motorsports debate of front vs. mid-engine design, to solid-axle vs. IFS, there’s been no one-size-fits-all 4400-car chassis to become the gold standard. As the sport continues to evolve, we are now seeing many of the top racers revert from a single-seat chassis back to a two-seat car. 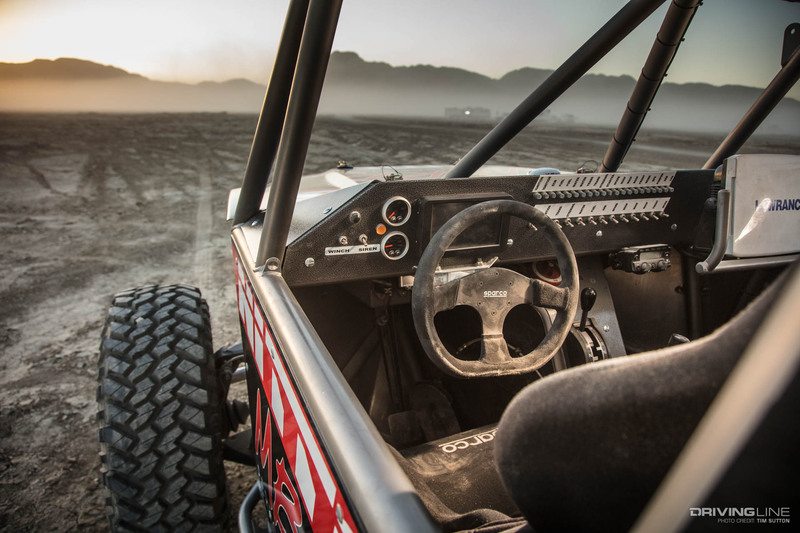 This is largely due to many of the longer desert races where a navigator can be a critical addition. 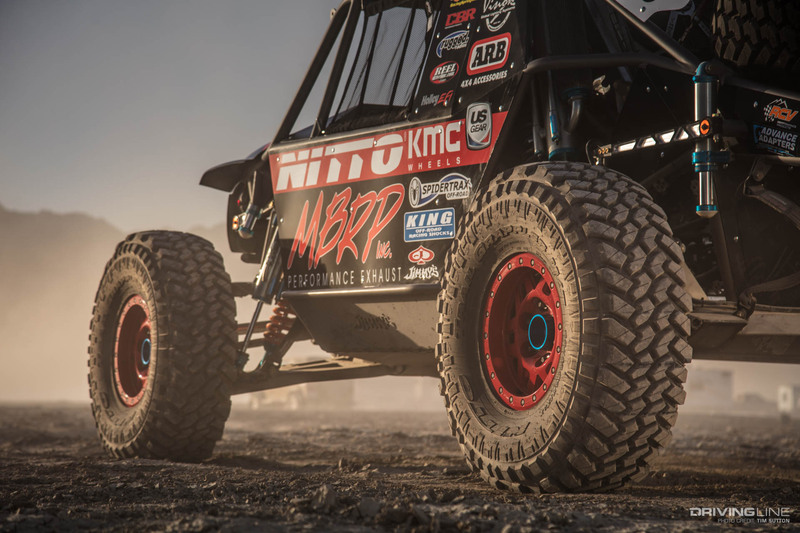 One racer that was eager to get back into a two-seat setup was Nitto Team driver Loren Healy. 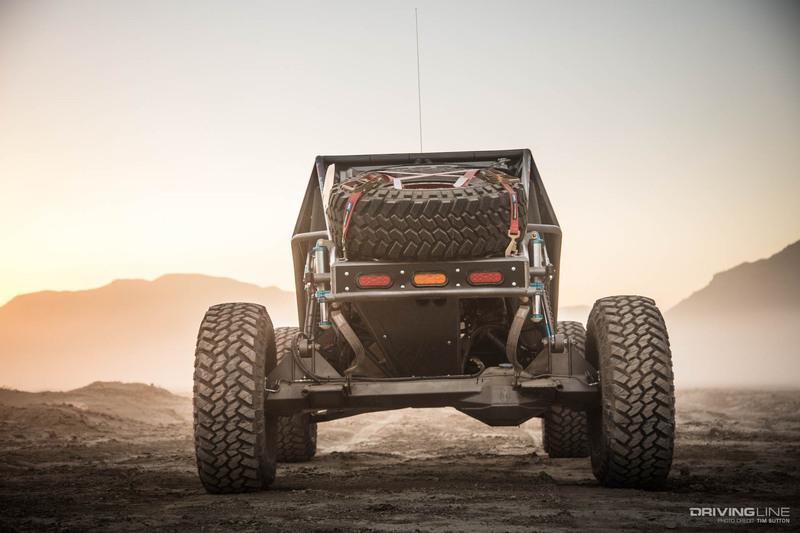 A few months ago, we gave you the sneak peek at Healy’s Jimmy’s 4x4-built Red Dragon 2.0. 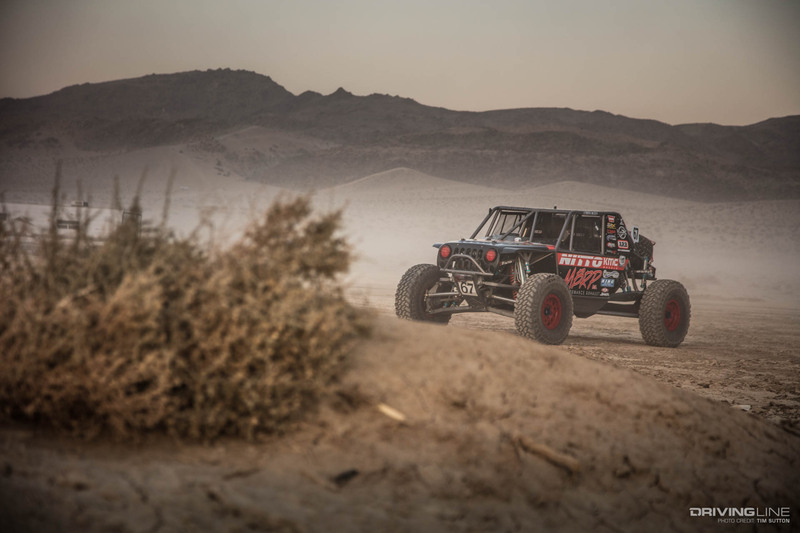 The all-new 4400 car was set for its big debut at the most coveted Ultra4 Race—King of the Hammers. However, after logging some test laps out in the desert, Healy soon realized that there was an issue with his freshly-built 454ci LS engine. This would ultimately lead to him running his backup car at KOH—the race-proven Red Dragon. While Healy was hoping to make a hard charge with his new 780hp two-seater, the original Red Dragon still managed to pull off an impressive seventh place finish. The one plus side out of all of this (for us at least) is we were able to get a close up look at the Red Dragon 2.0 before it gets a hard workout this year. Healy and his team are currently busy getting all of the new-car blues taken care of, and we’ll have an in-depth video feature of the car very soon. Until then, you can learn more about the Red Dragon 2.0 in the feature breakdown below. There are plenty of differences between the original Red Dragon and 2.0, but the most obvious is the fact that there are two Sparco suspension seats instead of one. 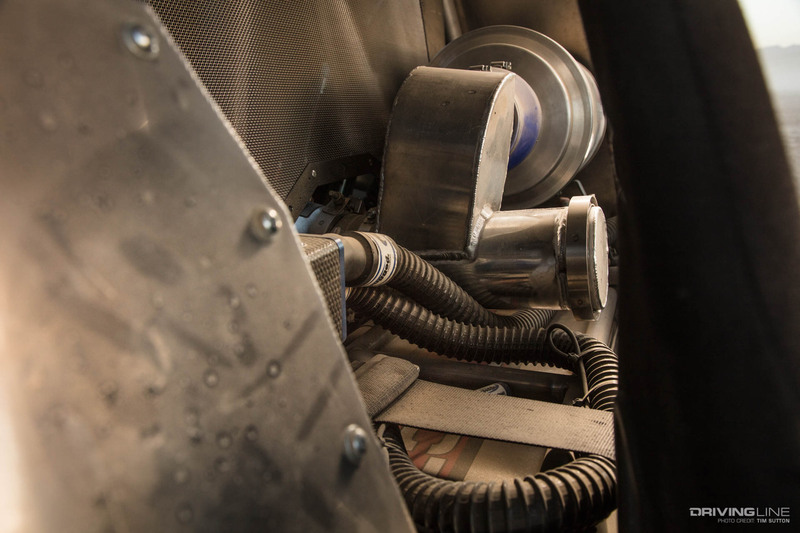 With the engine now placed behind the driver’s compartment, a custom fuel cell was fabricated behind the seats. This allots room for a custom Pytrotect bladder and 60 gallons of go juice. Pumping this fuel are dual Aeromotive A1000 fuel pumps. 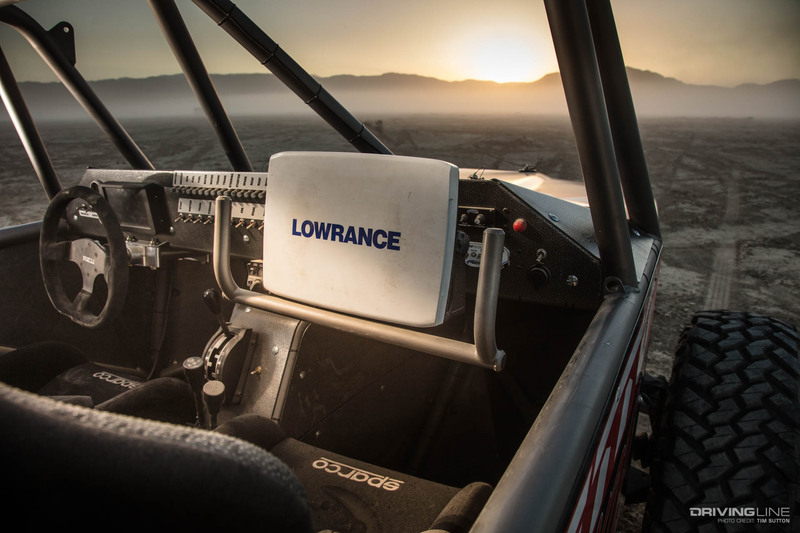 Providing Healy with the rig's vitals is a Holley digital dash, while a 10-inch Lowrance GPS helps the co-driver navigate more effectively. To enable that both the driver and passenger can communicate without needing to yell over the MBRP exhaust, a set of Rugged Radios were installed. 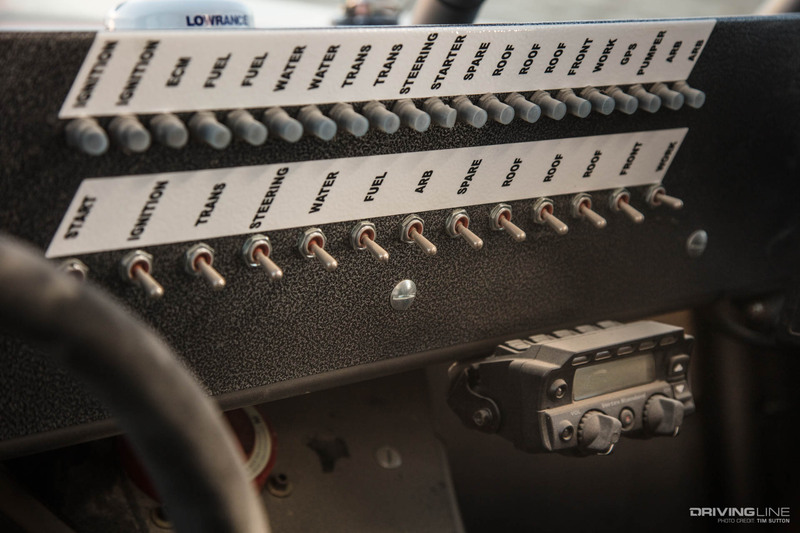 Directing the input from the removable Sparco steering wheel is a Howe 3.0 Trophy Truck steering rack. Channeling the power from the Dart Tall Deck 454ci engine is a Gearworks Turbo 400 transmission. This CBR-cooled custom transmission gets its marching orders from an Art Carr shifter. Behind it, you’ll find an Advance Adapters Atlas II transfer case with a 3:1 low range ratio. Out back, you’ll find a Spidertrax Pro Series housing with 4-inch diameter, 0.250-wall 4130 chromoly axletubes. It’s holding a GearWorks third member that’s paired with 5.43 gears and a spool. Since the front of the engine is facing the back of the car, the low-pinion third member is flipped to allow for the tires to turn in the forward direction. Jimmy’s 4x4 has just about perfected long-travel four-wheel drive IFS Ultra4 cars and Healy’s rig is a shining example of that. Inside of the Spidertrax IFS differential housing you’ll find a flipped LP US Gear 10-inch differential and 40-spline ARB Air Locker. This setup feeds RCV Performance series 30 CVs, which sandwich the 300m Spidertrax axleshafts. Creating the ability to fully cycle 19 inches of vertical wheel travel is a King 2.5 series coilover shock running next to a 3.5 King bypass. The car nets 8 inches of down and 11 inches of up travel. For when Healy does max out the suspension, King 3.0 series bumpstops are there to ease the impact. Tucking the King 2.5 coilovers and massive 4.0 bypass shocks out of harm’s way is a triangulated four-link using trailing arm uppers. This setup makes for an impressive 30 inches of travel, with 14 of that being up! Helping to keep the rig stable are 35-spline PAC Racing sway bars. The main chassis is comprised of 2-inch, 0.120-wall chromoly tubing that’s stepped down to 1.75- and 1.5-inch sections. The wheelbase comes in at 122 inches, with a width of 92 inches and roof height of 72 inches. The car weighs in at approximately 5,500 pounds. 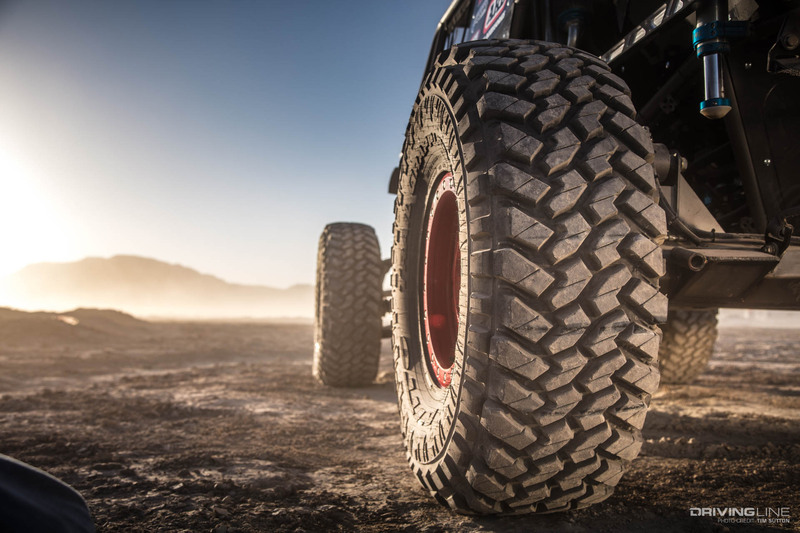 As one of the most dominant tires in all of Ultra4, the Nitto Trail Grappler has earned its spot under some of the fastest vehicles in the field. Healy’s running a 40x13.50R17 version, the same that’s found under his original Red Dragon. 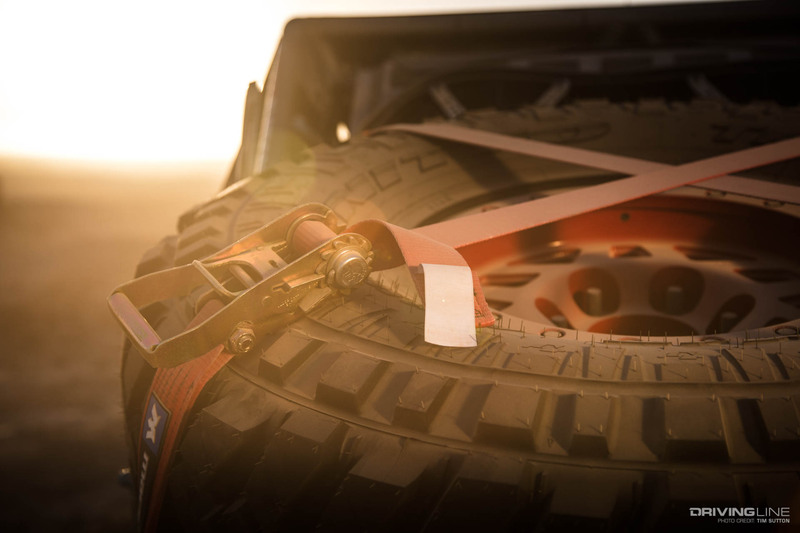 To ensure the tires stay in place while battling through the extreme terrain, a set of 17-inch Forged KMC Machete beadlocks are used. Peeking out of the wheel is the Spidertrax Ultimate Unit Bearing. Healy’s signature red Vision X LED lights keep the spirt of the original Red Dragon alive, while a Warn 9.5 competition series winch is there just in case. The bodywork on the car is a mix of aluminum and fiberglass panels, all custom crafted for the rig. We can definitely appreciate the Jeep-ish frontend on 2.0 as it lends a more familiar appearance to vehicle. It’s also a good tie-in to Healy’s new Jeep Wrangler JL that he’ll be showcasing at the upcoming Easter Jeep Safari in Moab, Utah. Looking to put the rough start behind him, Healy is ready to give the car a proper testing. 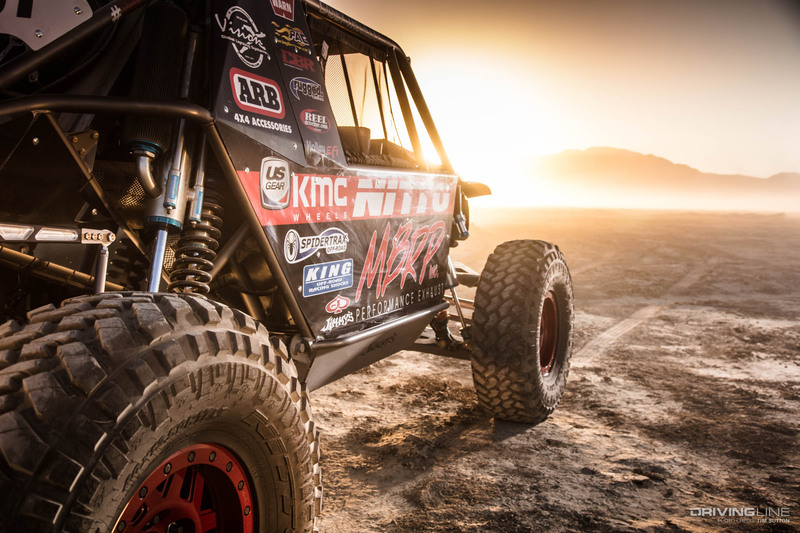 With Ultra4 and major races such as the Baja 1000 on his list this year, Healy will have plenty of opportunity to put the car through its paces. In the meantime, be sure to check out more detailed shots of the car in the gallery below. 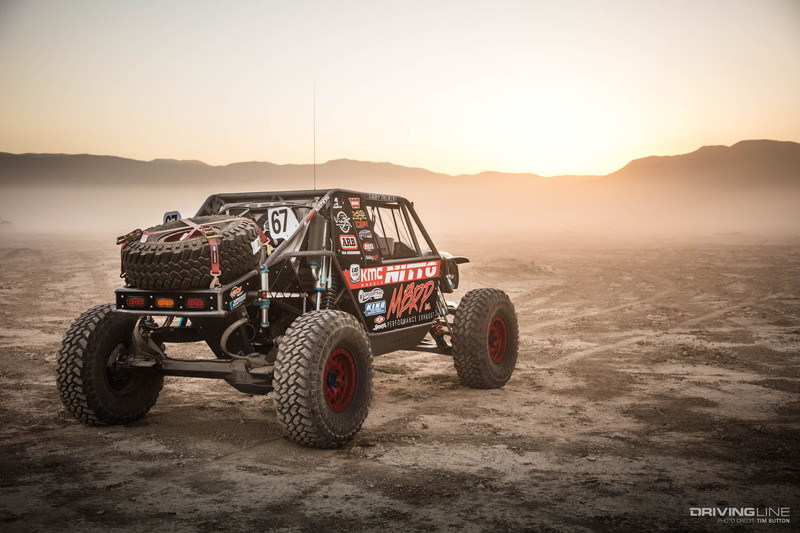 Want to see the Ultra4 car with the most wins? Then you have to watch this video of the original Red Dragon.